Start your engines! 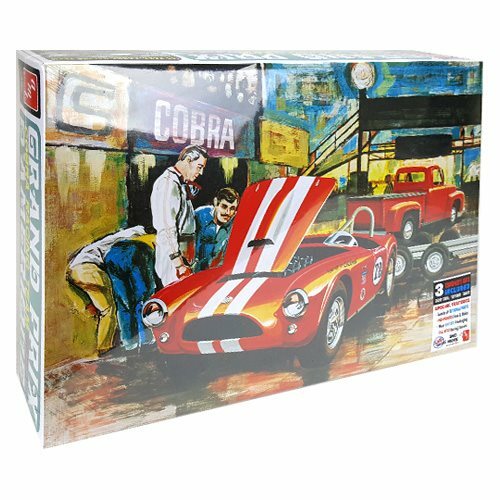 This Cobra Racing Team Shelby Cobra and 1953 Ford Pickup and Trailer Model Kit features everything you need to build one of the iconic vehicles from the Cobra Racing Team. This model kit comes with easy-to-use instructions and vehicle decals. Kit does not include glue and paint. Skill level 3. Ages 12 and up.